The Alden children are helping out at a radio station and they're going to be actors in a live mystery show. Benny is excited to play the ghost dog! But some folks say the station is haunted - for real! 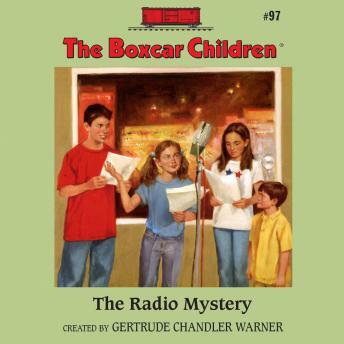 Can the Boxcar Children catch the radio ghost before the station's listeners are scared away?